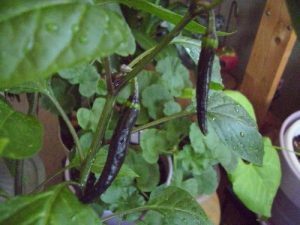 San Felipe-(Capsicum annuum)-This Native chile is from the San Felipe Pueblo. The Elevation of San Felip is 5,200 feet which is a short drive north of Bernalillo, New Mexico. The town or Pueblo of San Felipe lies along the banks of the Rio Grande river and is home to many small farmers. The Pueblo was named in 1591 by a Castano de Sosa who named it after a Jesuit Priest who was martyred in Japan. It is also known for the Feast of St. Philip celebrated May 1st every year with Traditional Native Corn Dances. 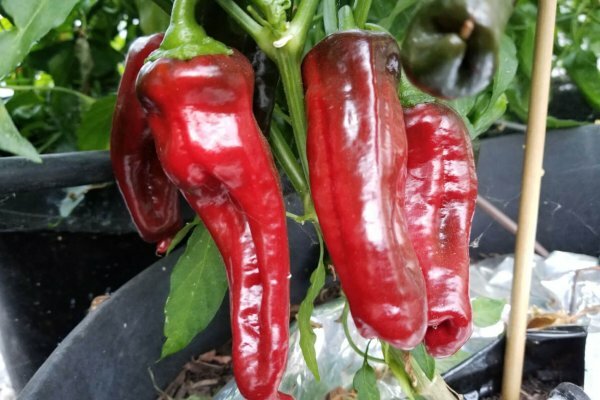 The San Felipe peppers have medium heat level. 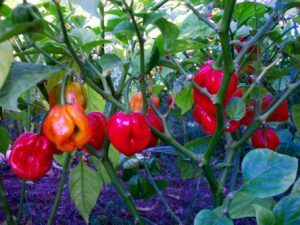 The peppers are 3 to 4 inches in length and almost an inch at its widest point. They have a thick enough flesh for roasting, frying and stuffing. But can also be used dried. The flavor is sweeter when green but gets more complex when red. 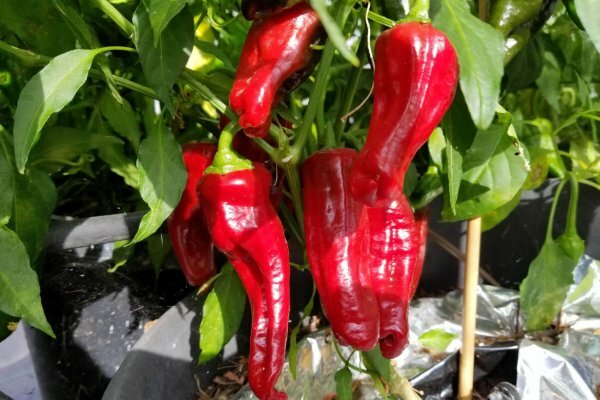 The San Felipe chile plants are under 2 feet tall. 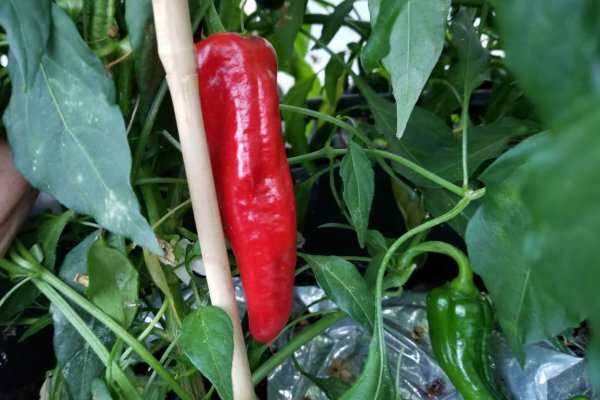 The San Felipe peppers ripen from green to red. 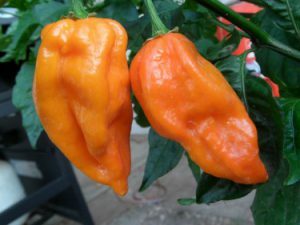 Note this is a genuine Native American chile. 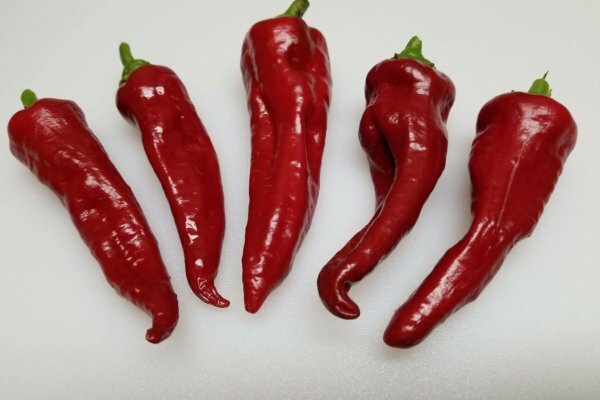 Many of these Native chiles look very similar but I can assure you they all have differences in flavor. Know this that by growing and sharing these Native species we are keeping them around for future generations. 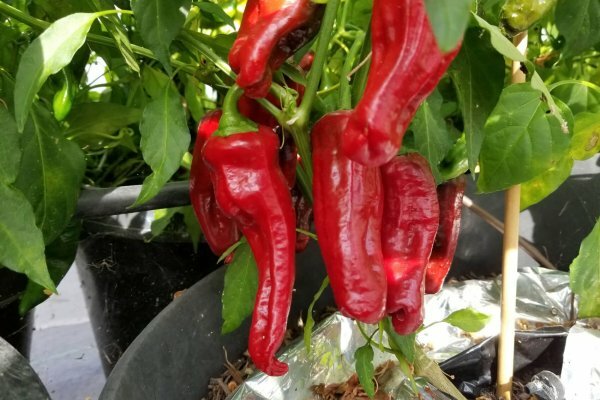 This Native chile is from the San Felipe Pueblo. A Pueblo is an Historic Indian Settlement that is still lived in today! The Elevation of San Felipe is 5,200 feet which is a short drive north of Bernalillo, New Mexico. The Pueblo of San Felipe lies along the banks of the Rio Grande river and is home to many small farmers. The Pueblo was named in 1591 by a Castano de Sosa who named it after a Jesuit Priest who was martyred in Japan. It is also known for the Feast of St. Philip celebrated May 1st every year with Traditional Native Corn Dances. 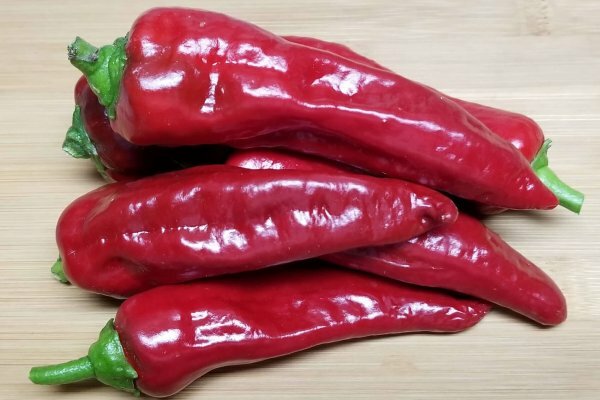 The San Felipe peppers have medium heat level. 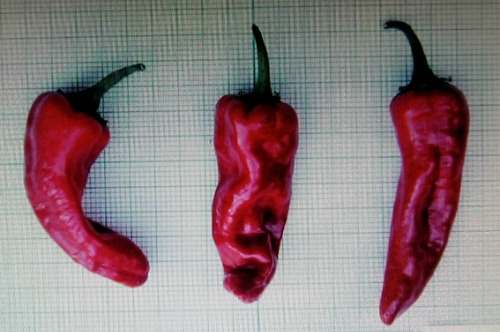 The peppers are 3 to 4 inches in length and almost an inch at its widest point. They have a thick enough flesh for roasting, frying and stuffing. But can also be used dried. The flavor is sweeter when green but gets more complex when red. 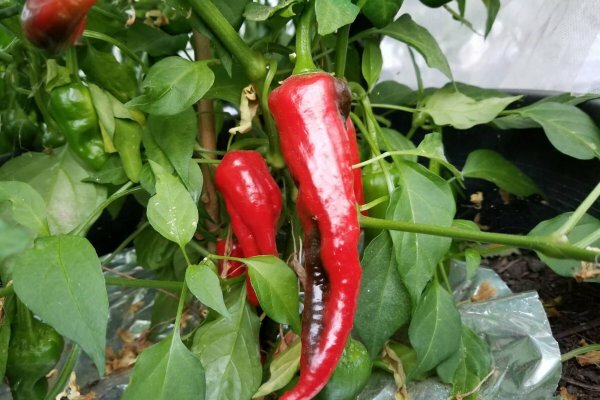 The San Felipe chile plants are under 2 feet tall. 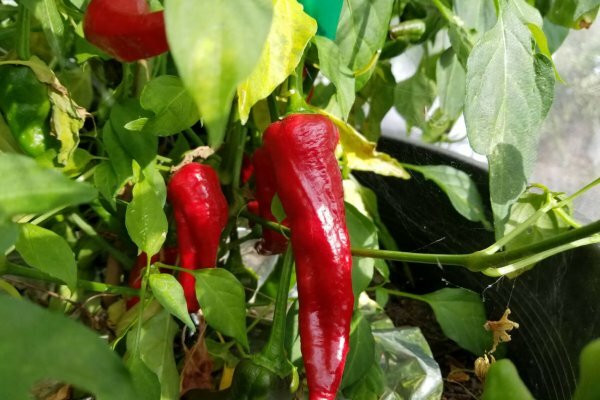 The San Felipe peppers ripen from green to red. Note this is a genuine Native American chile. Many of these Native chiles look very similar but I can assure you they all have differences in flavor. Know this that by growing and sharing these Native species we are keeping them around for future generations. 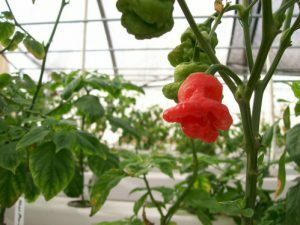 Tests at NMSU show it having a heat level of over 15,000 Scoville units.